February is NaHaiWriMo (National Haiku Writing Month) which means it is time for the Accidental Admins’ 2nd Annual Salesforce Haiku writing contest! 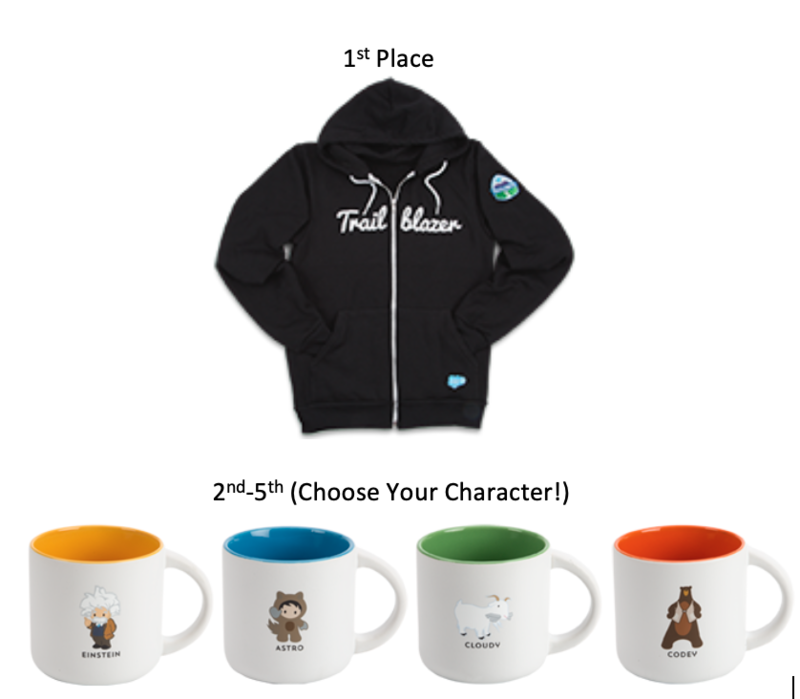 To enter our contest to win a free Trailblazer Hoodie or Salesforce Character Mug, leave your Salesforce related Haiku in the comments on this post, and we’ll pick our winners the first week of March! Here is some inspiration from last years top entries! This long-form haiku from @YadCloud had the most 1st place votes & was tied for the win heading into our final voter. Congrats Yad! what then, a cloud? wave? Apparently the Accidental team hates vague error message emails from Process Builder. We’ll dedicate this effort to Timothy Treadwell aka Grizzly Man. This one really connected with one of the Admins, gaining a first place vote. Check out Trailhead for answers. ask the failing test method? how, oh how do i love thee? Doors are closing for takeoff! Yes, been developing with LWC for the last 3 years. I’ve found someone new. Their name? Oh! The things you’ll learn! Admin : Then you haven’t explored the New Lightning flow builder. Let’s be inclusive and make sure we explain things! Not everyone knows the rules for haiku (as evidenced by submissions). They may have a deeper understanding of haiku, realize 5-7-5 is not required, that the kire is more important to the form than syllable counting, the primary point of the form is to create emotion, and understand morae (not all syllables are created equal). I can pin list views! Oh Spring 19, you are rad! I wish we could edit … hit post accidentally. Please ignore the first one, too many syllables in line 2! ITS OK! Haiku does not have to be 5-7-5 – thats an over simplification of the form. Is the bees knees, ya get me? when fine arts meet competition, contention can often ensue. our interpretation of arts must be more fluid than to espouse rigid notions such as syllabic requirements. on the other hand, in my own writings I have found that adhering to an artificial constraint (5-7-5) has brought out very interesting word choice and sentence structure. And so when I read a “haiku” that has this pattern (and is also not simply a sentence broken up in to three lines), it pleases me because I respect the skill in working towards that. Similarly, as other users above have pointed out, haiku historically in Japan has meant something well beyond our syllabic interpretation, so there absolutely should be room for haikus here that capture the spirit of elegantly juxtaposed ideas but were more liberal in their word choice. Keep it coming all! Sweet Lightning wins her way. New Flow Builder bloomed today! how strangers meet as old friends! No – Flows will save us.